Le Cirque is so timeless, so flawless, so confident in what it does, any other year it would most certainly be in the top ten restaurants of Las Vegas. The only reason it is not this year is because 1) the Bellagio effectively divorced itself from the Maccioni family last year, and 2) its very talented young executive chef, Paul Lee, recently left the operation to pursue greener pastures in Los Angeles. These two moves gave Eating Las Vegas pause, and shook our confidence that the same level of quality might be compromised now that the bean counters are running things, and the family that made this name synonymous with the best in restaurants has been relegated to little more than a licensing deal. With these concerns in mind, we took a (relatively) quick tasting at the restaurant last week, and every dish we were served — Dungeness crab gazpacho, foie gras, duck á la orange — was as à point and perfect as cooked food can be. Executive Sous Chef Carlos Cabrera is running the show for the time being, and we hear another talented toque is on his way to the kitchen, but fans and epicures (they tend to be the same thing) should know things are in fine form until then. It could be argued that no restaurant is more responsible for the gourmet tidal wave that crashed upon these desert shores in October 1998, and no restaurant can claim a better pedigree or a more loyal fan following. 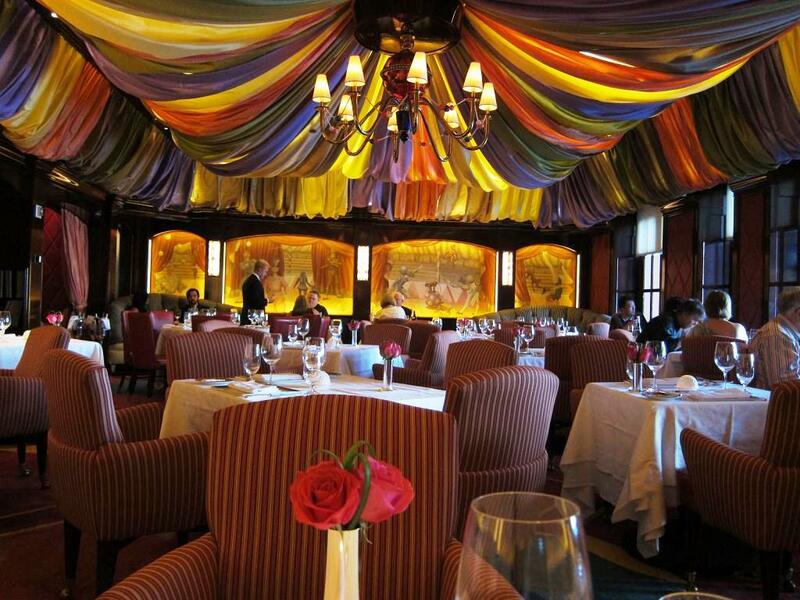 Through it all, Le Cirque has maintained a level of excellence that few restaurants can match. The chef’s mantle has been passed from Marc Poidevin to David Werley to Gregory Pugin to (most recently) Paul Lee — each of whom has brought a successively more au courant sensibility to the kitchen. The rabbit with Riesling (and that definitive duck à la orange) are still there for stodgy old classicists (like yours truly), but haute cuisine like a bucatini timbale stuffed with truffled oxtail, and seared foie gras to beat the band, fly out of this kitchen every night to the oohs and ahs of sophisticated diners the world over. Le Cirque isn’t Robuchon, Savoy, Twist, or any of Vegas’ superlative frog ponds. It is sui generis. A little slice of heaven, a jewel box of quintessence that can’t be duplicated anywhere in Vegas….or anywhere else we can think of. Frederic Montandon’s winning wine ways contribute to this effect, as do the mind-blowing desserts. Favorite Dishes: Foie Gras Sauté With White Chocolate And Raisin Brioche; Traditional Bouillabaisse (Which Is Anything But); Langoustine With Caviar; Espelette-Covered Lamb Chops; Gazpacho with Dungeness Crab; Rabbit with Riesling; Duck à la Orange; All Desserts; Basically everything on the friggin’ menu and any wine Freddie suggests. John I was at RAKU and then Sweet RAKU las night…fantastic. However my novice pallet still loves Le Cirque. Ever since the word got out that they may be closing I have been there every chance I can (8 time this year) It is always fantastic and you are surely right about Fredric. I love the Champagne he always pours us. Explaining the grapes, the bubble the fact that it is grown and bottled just a few kilometers from his home town. Very interesting article. I have not been to Le Cirque in about a year. Last time it was fantastic food and service as always. What else can you expect from a first class restaurant in Bellagio. Your article has inspired me to make a return visit soon..